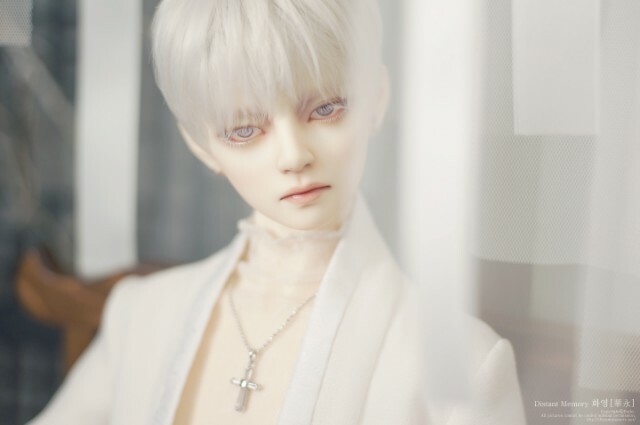 A discussion thread for the Korean BJD Distantmemory created by Esthy. Just wondering anyone ordered their Sunho via Noblitydoll and received the doll yet? Peroth head by Esthy Discussion! Distant Memory - Rad discussion!! What do Esthy Peroth heads fit? Just wanted say I got my sunho head in about a week ago and he is currently off for a faceup! I think the last batch of sunho heads were supposed to be mailed out from June 6-9 (according to nobility doll). A few have even popped up on the market place here already. He really is even more gorgeous in person! So happy I snagged him right before pre-orders closed! I too got Sunho head! And I'm very happy! Very love him! Now head is on the make-up. I know how you feel, it was really painful shipping his head off for me as well! I actually also got the Hwayoung head off the marketplace just a little while ago too, so I was able to ship them together!! Wow! You have Hwayoung! Cool! Soon we will show our boys. Oh my lord!!! They look gorgeous!! Esthy just kills it every time!! Memory does hurt! Or maybe it's news that soon Jungkook will be shown ready? Aaaah! A couple more pictures of the guys. I got Sunho head long time ago but I still couldn't find a body for him. Does anyone do a hybrid? I wanna know which company will fit this head. His normal skin is quite pale with pink under tone. It's quite too hard to find him a body. Well, his already been made for a long time. It's time to start selling. My Sunho is sitting on the body of the boy Luts65 senior delf. I like the this body! Skitons of head and body coincide as native. The proportions are good. Ahaha. I think that in summer it will definitely sell. I also do not buy new dolls. On the contrary, I sell half of xD. I want to get someone from Distantmemory for the future. I want to Namjoon. @~Hiroki~ Thank you. I'll go check Luts body for sure. May I ask about the color matching? Both of them are similar or Luts is darker with pink undertone? @FindAlice Thank you for your suggestion. Hope you'll get a good result for doing a hybrid. I have E-yeon and Sunho head. Their resin color are slightly different. Suhno is more pinker than E-yeon. I have only Volks and Switch bodies in Normal Skin. I can say they are not match with the head. Based on the resin comparison among my floating heads. Distantmemory has the similarity with Switch (New NS) but it's a lot paler than Switch. I can't do a hybrid between Distantmemory's head and Switch body because the body has a very thick elastic cord and big s-hook. They can't go through the hole of the head. That's why I'm still looking for another alternative body. Maybe I'll a body from Distantmemory because of the problems I state above. I wrote above that the skitons 100% similarity. I can show photo my Sunho if it's necessary. I might have to look into Luts bodies too if my plans don't work out, It great you already found a perfect match! My Sunho is out for a face-up but before she left I compared her with several girl bodies I have on hand and it looked as if I could get a match. Luckily the head isn't as large as some boy heads, so the size itself, as long as the neck parts fit, shouldn't be a problem. Wow, that sounds amazing, I never thought about making sunho a girl. I can barely imagine what she would look like, I am totally looking forward to her! Would you be so kind as to share what bodies she has matched so far? Perhaps we can cross examine multiple companies and gather more information on these lovely heads.